Primary 1 have been learning about 3D shape. They can recognise and match cubes, cuboids, cylinders, cones and spheres. They have also created some super 3D models with the building blocks. 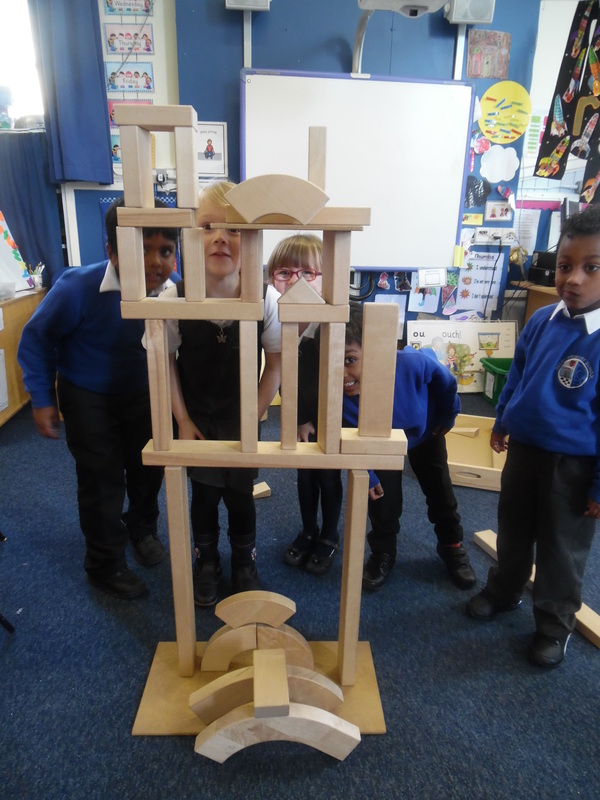 They have made very tall tower, a motor car and a castle. This entry was posted in Primary 1A 16-17 on Mar 11, 2017 by Dalry Primary Edinburgh. Thank you so much for these emails (or blogs, or whatever the right name is !) We enjoy seeing the kids having such fun while learning.